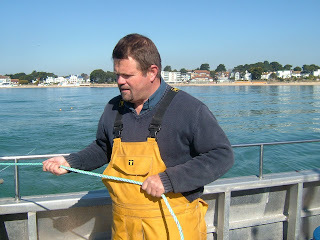 April 15th: it’s a fine morning with a light easterly blowing and an increasing forecast for the evening. 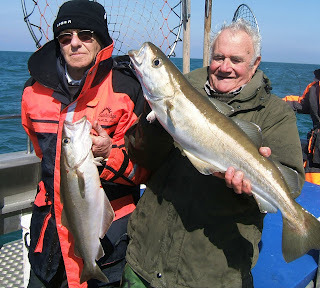 When the wind’s in the east…. 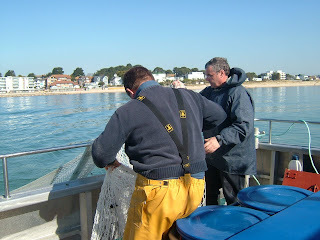 We head out 30miles from Poole to a 2nd world war wreck. 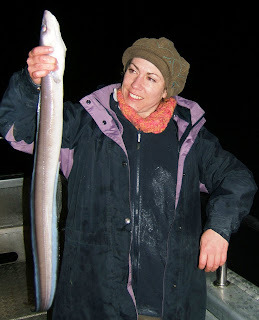 The eels work their magic, despite the fact that only 2 of the group have been wreck fishing before they all catch pollack. 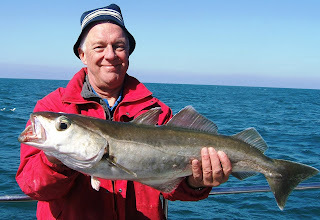 At the end of the day trip organiser Garry Legg had caught 12 fish and all of the other anglers had contributed to the 40+ pollack that filled our new Iceytek fish box. 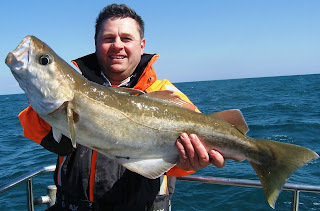 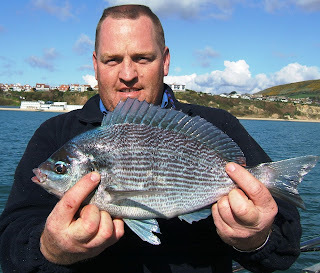 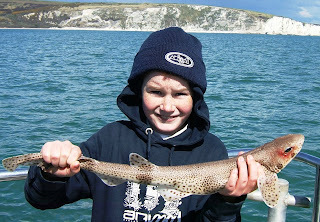 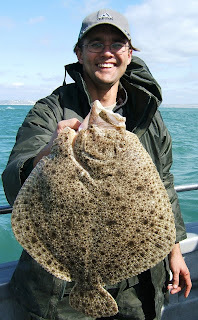 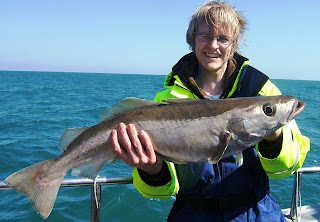 Live sandeels are a powerful bait for prime fish like pollack, bass, turbot, brill and cod. 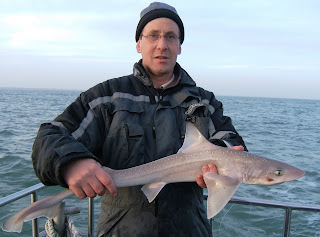 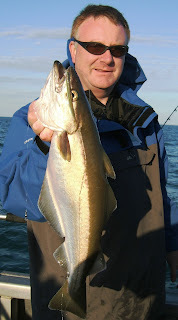 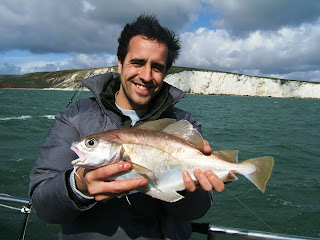 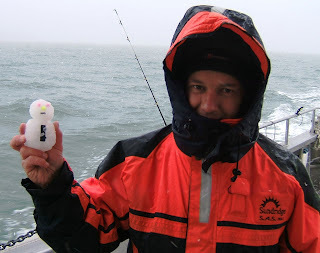 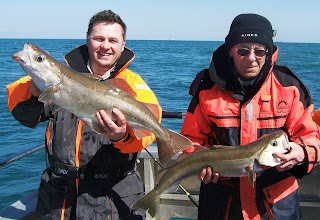 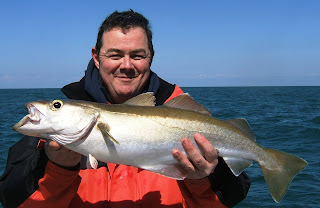 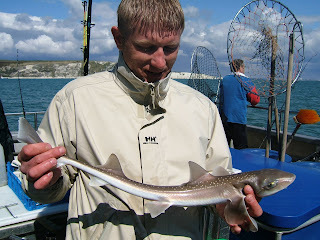 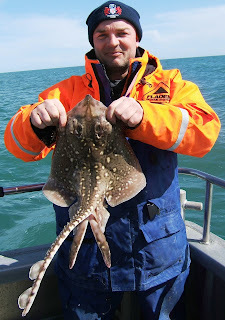 I believe that fishing with live sandeels will increase catches in 2008 on Silver Spray. 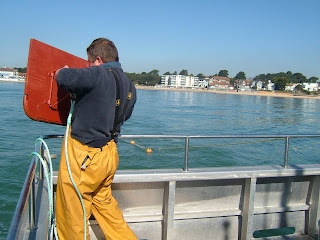 April 15th and the weather looks good for the next 48 hours. 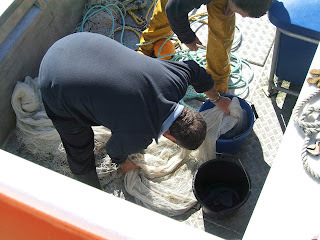 We head out to the hook sands to catch some live sandeels ready for wreck fishing on Wednesday. 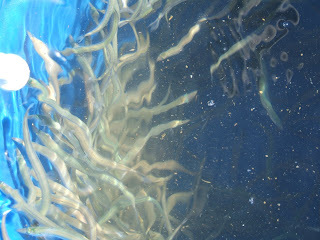 We had a good catch of eels on a wonderful day. 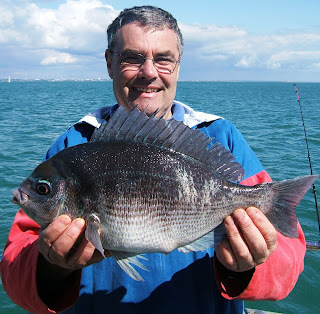 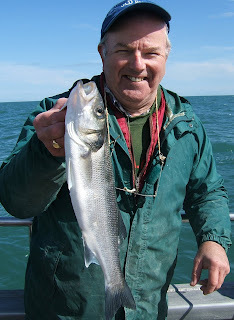 Silver Spray stalwart Mark Palmer with a fine bream just short of 3lb. 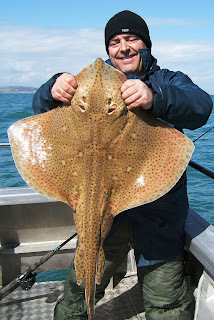 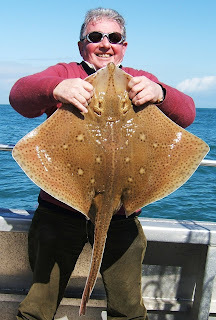 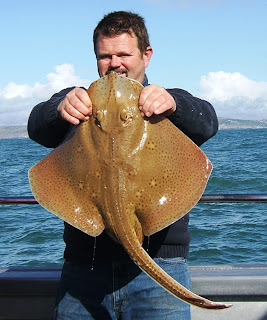 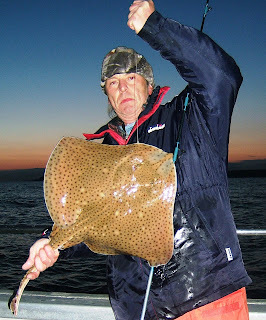 March sees a good run of blonde rays on the banks off Poole.